Our work is published in educational resources related to 3C Institute’s areas of research, including child development, peer relations, and social skills interventions. 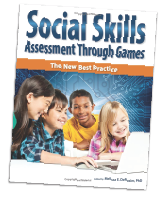 In 2014 we published our first book, Social Skills Assessment Through Games: The New Best Practice. If you’re an educator, clinician, or parent seeking to understand the most effective practices for evaluating children’s social skills, you’ll want to learn more about the powerful potential of game-based assessment. Read more and purchase at Amazon. DeRosier, M. E. (Ed.). (2014). Social Skills Assessment Through Games: The New Best Practice. Cary, NC: Interchange Press. This book explores the advantages of using game-based platforms to assess children’s social skills, to help educators, clinicians, and parents understand various social skills assessment approaches and make informed decisions about which methods to use. DeRosier, M. E., McMillen, J. S., & Thomas, J. M. (2011). Intelligent social tutoring system for children: Application of interactive software technology to the assessment and development of social problem solving. In A. Columbus (Ed. ), Advances in Psychology Research, Vol. 72 (pp. 99-132). Hauppauge, NY: NovaScience. DeRosier, M. E. (2008). Peer relations research. In W. Darity (Ed. ), International Encyclopedia of the Social Sciences (2nd ed., Vol. 6, pp. 202-204). Detroit: Macmillan. DeRosier, M. E. (2008). Social Skills GRoup INtervention (S.S.GRIN) – Parent Guide (S.S.GRIN – PG): Professional Manual (3rd ed.). Cary, NC: 3-C Institute for Social Development. Harrell, A. W., & DeRosier, M. E. (2008). Social Skills GRoup INtervention – Adolescents (S.S.GRIN – A): Professional Manual (3rd ed.). Cary, NC: 3-C Institute for Social Development. DeRosier, M. E. (2008). Interventions, social skills. In W. Darity (Ed. ), International Encyclopedia of the Social Sciences (2nd ed., Vol. 4, pp. 119-120). Detroit: Macmillan. DeRosier, M. E. (2007). Social Skills GRoup INtervention (S.S.GRIN): Professional Manual (Grades K-2) (4th ed.). Cary, NC: 3-C Institute for Social Development. DeRosier, M. E. (2007). Social Skills GRoup INtervention (S.S.GRIN): Professional Manual (Grades 3-5) (4th ed.). Cary, NC: 3-C Institute for Social Development. DeRosier, M. E., & Brightwood, L.H. (2007). LifeStories for Kids: Enhancing character development and social skills through storytelling: Professional Manual (Grades K-2) (4th ed.). Cary, NC: 3-C Institute for Social Development. Cary, NC: 3-C Institute for Social Development. Brightwood, L. H., & DeRosier, M. E. (2007). LifeStories for Kids: Enhancing character development and social skills through storytelling: Professional Manual (Grades 3-5) (2nd ed.). Cary, NC: 3-C Institute for Social Development. DeRosier, M. E. (2007). Peer-rejected and bullied children: A Safe Schools initiative for elementary school students. In J. Zins, M. Elias, & C. Maher (Eds. ), Bullying, victimization, and peer harassment: A handbook of prevention and intervention (pp. 257-278). Binghamton, NY: Hawthorn. Kupersmidt, J. B., & DeRosier, M. E. (2004). The role of peer relations in the development of negative outcomes: Explanatory processes. In K. Dodge & J. Kupersmidt (Eds. ), Children’s peer relations: From development to intervention (pp. 119-138). Washington, DC: American Psychological Association. DeRosier, M. E. (2002). Group interventions and exercises for enhancing children’s communication, cooperation, and confidence. Sarasota, FL: Professional Resources Press. Parker, J. G., Ruben, K. H., Price, J. M., & DeRosier, M. E. (1995). Peer relationships, child development and adjustment: A developmental psychopathology perspective. In D. Cicchetti & D. Cohen (Eds. ), Developmental psychopathology: Risk, disorder and adaptation (Vol. 2, pp. 96-161). New York: Wiley. 3C Institute regularly publishes in journals in the fields of child psychology, developmental psychology, school psychology, social psychology, character education, and child and family studies. We also contribute to a number of trade publications aimed at mental health professionals who work with children, such as psychologists and school counselors. 3C Institute staff present at multiple national professional conferences, association meetings, and other venues each year. Our presentations include poster presentations, sharing of research findings, panel discussions, and more. Adkisson, K., Childress, D., Melillo, K., Hehman, C., Coleman, I., Phillips, T., & Chin, J. (2016, May). Stakeholder Perspectives on the Utility of the Web-Based Occupational Resource Kit (W.O.R.K. ): An Interactive Curriculum to Support Students with Mild Intellectual Disabilities with and without ASD in the Successful Transitioning to Employment. INSAR’s International Meeting for Autism Research, Baltimore, MD. Childress, D., Melillo, K., Adkisson, K., Sam, A., Eremeev, I., Cassell, B., Allen, P., Rothman, S. (2016, May). Development of the Postsecondary Resilience Education Program (PREP): An Interactive, Web-Based College Readiness and Resilience Skills Building Program for Students with High Functioning Autism Spectrum Disorder. INSAR’s International Meeting for Autism Research, Baltimore, MD. Livet, M., Yannayon, M., Upright, J., & McMillen, J.S. (2015, June). Evidence-based systems innovation support using technology in diverse settings. In L. Zimmerman, Innovations in implementation science: Systems science methods community psychologists use to promote health and well-being in communities. Symposium conducted at the Society of Research and Action Biennial Conference, Lowell, MA. Melillo, K., Adkisson, A., Childress, D. (2015, June). Stakeholder Perspectives on the Utility of a Web-based Curriculum to Support Students with Mild Intellectual Disabilites in the Successful Transitioning to Employment. ICDR’s Disability and Employment Symposium: Research Informing Practice and Policy, Washington, DC. Livet, M. & Fixsen, A. (2014, December).  Exploring Content and Context: Lessons Learned from Adapting a Technology-based Implementation Support System from Schools to Community Mental Health Settings. Virtual presentation at the 7th annual Conference on Science of Dissemination and Implementation, Bethesda, MD. Bartel, C., Sanchez, R., & Ritschel, L.A. (2014, November). Project Arise: Using Gaming Technologies to Improve Outcomes for Adolescents with Substance Use Difficulties. Poster presented at the annual convention of the Association for Cognitive and Behavioral Therapies (ABCT), Philadelphia, PA.
Childress, D., Sam, A., Melillo, K., Henry, T., Cassell, B., Wood, P., Hehman, C., & McMillen, J.S. (2014, May). Stories in Motion: A Pilot Study of a Social Visualization and Progress Monitoring Program for Elementary Students with High Functioning Autism. Innovative Technology Demonstration presented at the International Meeting for Autism Research, Atlanta, GA.
Sam, A., Childress, D., Melillo, K., Coleman, I., & DeRosier, M. (2014, May). Stakeholder Perspectives on the Utility of a Web-Based Resilience Skills Building Program for Students with High Functioning Autism Transitioning to Postsecondary Education. Innovative Technology Demonstration presented at the International Meeting for Autism Research, Atlanta, GA.
James, S., Perreras, L., Warnaar, B., and Livet, M. (2014, April). Lessons Learned from Evaluating Technology-based Products in a Small Business Environment: Balancing Rigor and Resources. Oral presentation at the annual conference of the Eastern Evaluation Research Society, Absecon, NJ. James, Stephen (2014, April). Presentation on how formative evaluation was used to evaluate the development of two technologies within a small business environment, at the Eastern Evaluation Research Society Annual Conference, Absecon, NJ. DeRosier, M.E. (2014, April). Social Skills Training. Workshop presentation at the North Carolina Psychological Association, Charlotte, NC. DeRosier, M.E. (2014, April). Social Skills Evaluation. Workshop presentation at the North Carolina Psychological Association, Charlotte, NC. DeRosier, M.E. (2012, October). Resilience During Students’ Transition to College: Towards a Measure of Four Key Resilience Factors. Presentation at the Society for Research in Child Development (SRCD) Themed Meeting: Transitions from Adolescence to Adulthood, Tampa, FL. Hehman, C. & Craig, A. (2012, June). Stealth assessment of social skills through interactive games. Presentation at the 8th Annual Games for Health Conference, Boston, MA. Kameny, R. (2011, August). Thinking outside the box: Career flexibility for psychologists. Panel presentation at the American Psychological Association 2011 Convention, Washington, DC. DeRosier, M.E., McMillen, J.S., Kameny, R., & Deng, M. (2011, August). Tailoring technology to enhance quality implementation. Poster presentation at the Global Implementation Conference, Washington, DC. DeRosier, M.E., Swick, D.C., & Hehman, C.T. (2011, June). Innovative web-based technologies for enhancing quality implementation of evidence-based interventions and fostering better treatment outcomes. Poster presentation at the NCDEU Conference, Boca Raton, FL. DeRosier, M.E., Stein, B.D., Lochman, J.E., & Amaya-Jackson, L. (2011, March). Innovative use of web-based strategies as part of dissemination and implementation: Pros and cons. Presentation at the 4th Annual NIH Conference on the Science of Dissemination and Implementation: Policy and Practice, Bethesda, MD. DeRosier, M.E. (2010, November). Implementing effective social skills interventions. Presentation at Duke University Medical Center Child Psychiatry Training Program, Durham, NC. DeRosier, M.E. & Thomas, J.M. (2010, November). Toward effective game-based social skills tutoring for children: An evaluation of a social adventure game. Presentation at NCSU Computer Science Department, Raleigh, NC. DeRosier, M.E. (2010, September). Implementing effective social-emotional interventions in schools. Presentation at the International Academic Conference on Prevention Programs for Children’s Health and Adjustment, Naruto University of Education, Naruto, Japan. DeRosier, M.E., Kameny, R., & Hehman, C.T. (2010, June). Effective web-based technologies for enhancing researcher trainingand advancing scientific endeavors for clinical and behavioral research. Poster presentation at the NCDEU Conference, Boca Raton, FL. DeRosier, M.E. & Hehman, C.T. (2009, April). How kids learn social skills through serious games. Presentation at Triangle Game Conference. Raleigh, NC. Mercer, S. H., & DeRosier, M.E. (2009, March). A social network analysis of selection and socialization of internalizing problems in middle childhood. Paper presented at the biennial meeting of the Society for Research in Child Development, Denver, CO.
DeRosier, M.E. & Hehman, C.T. (2009, February). Interactive social tutoring system.Presentation at IBM Serious Games Day. Research Triangle Park (RTP), NC. Mercer, S. H., & DeRosier, M.E. (2009, February). The co-development of teacher social preference and student-teacher relationships. Paper presented at the annual meeting of the National Association of School Psychologists, Boston, MA. Kameny, R. (2007, November). Web-based tools for effective mentoring. Poster presentation at the US Department of Health and Human Services, National Institutes of Health National Leadership Workshop on Mentoring Women in Biomedical Careers, Bethesda, MD. DeRosier, M.E. (2004, March). Dimensions of popularity: Impact on children’s self-perceptions. In Buzkirk, A. & Rubin, K. (Chairs), The Many Faces of Popularity. Symposium presentation at the Biennial Meeting of the Society for Research in Adolescence (SRA), Baltimore, MD. Starritt, J.E., Marcus, S.R., Capp, N.M., & DeRosier, M.E. (2003, October). Racial influences on teacher ratings of student popularity and prosocial behavior. Poster presented at the annual conference of the North Carolina School Psychology Association. DeRosier, M.E. & Thomas, J.M. (2003, April). Methodological advances in sociometry. Invited panel presentation at the peer relations pre-conference for the Biennial Meeting of SRCD, Tampa, FL. DeRosier, M. E. (2003, April). Social support for bullying: The role of popular children. In Rodkin, P. (Chair), Aggression and conflict in peer relationships: New agendas for social status, relational aggression, and friendship research. Symposium presented at Biennial Meeting of SRCD, Tampa, FL. DeRosier, M.E., Conser, J., Tognela, J., Capp, N., & Marcus, S. (2003, April). Peer relations in the aftermath of 9-11: Ethnic differences. Poster presented at the Biennial Meeting of SRCD, Tampa, FL. DeRosier, M.E. & Anderson, R.F. (2003, Februrary). Threat management by assessment and counseling. Presentation at the Safe Schools Conference, NC Department of Public Instruction, Raleigh, NC. DeRosier, M.E. (2003, Februrary). Preventing bullying in our schools. Presentation at the Safe Schools Conference, NC Department of Public Instruction, Raleigh, NC. DeRosier, M.E. (2001, November). Bullying, teasing, and social isolation at school: Tools to accurately identify and effectively help students with peer problems. Presentation at the Annual Meeting of the North Carolina School Counselor Association, Greensboro, NC. DeRosier, M.E. (2001, April). Peer connections: School threat assessment in practice. Invited presentation to the US Department of Education’s School Security Meeting, Atlanta, GA.
DeRosier, M.E. (1997, April). The mediating role of perceptions of social failure and social success in the link between peer rejection and adjustment. In A.H. Cillessen & M.E. DeRosier (Chairs), Linking peer relations and adjustment: The role of interpersonal perceptions. Paper presented at the Biennial Meeting of the SRCD, Washington, D.C.
DeRosier, M.E. (1995, March). Actual and perceived peer relationships: Implications for children’s academic, behavioral, and emotional adjustment problems. In M.E. DeRosier & A.H. Cillessen (Chairs), Children’s social self-perceptions: Developmental links to social, behavioral, and emotional adjustment. Paper presented at Biennial Meeting of the Society for Research in Child Development (SRCD), Indianapolis, IN. Costello, E.J. & DeRosier, M.E. (1993, February). Continuity and change in child psychopathology. Invited paper presented at the annual meeting of the Society for Research in Child and Adolescent Psychopathology, Sante Fe, NM. DeRosier, M.E., Kupersmidt, J.B., & Patterson, C.J. (1992, August). Chronic peer rejection and children’s externalizing behavior problems. In J. Kupersmidt (Chair), Longitudinal research in child psychopathology: Peer rejection and children’s behavioral adjustment. Invited symposium presented at the annual meeting of the American Psychological Association, Child Clinical Division, Washington, DC.